I’ve been planning to make relish for several weeks now, but my time was eaten up by many other demands. Now, cucumber and zucchini production has slowed and I don’t have enough of either to do a batch of relish. Never mind, I’ll try combining them. I spent quite a bit of time researching recipes and came up with this combination based on what I had available. A further complication is that it has to be sugar-free. So this is not meant to be a recipe recommendation; it’s a reminder to myself of what worked in 2018. I use a boiling water bath to can the relish, but I store it in the kombucha fridge as an added precaution against spoilage. Wash and dry the zucchini and cucumber. Do not peel. Core the tomato and the peppers. Peel and core the onion. Run the vegetables through the Kitchen Aid meat grinder, coarse plate, into a large glass bowl. (This amount of chopped vegetables equaled ten cups.) Sprinkle with 2 tablespoon pickling salt and let stand for a few hours. Drain off the juices that are released, but there is no need to press out all of it. I did and my relish was a little too dry. Taste test for saltiness. Rinse and redrain if it is too salty (mine was not). In a large stock pot, combine the syrup ingredients and bring to a boil. Add the vegetables, bring back to the boil and simmer for ten minutes. Stir with a wooden spoon. Taste test for sweetness and adjust if necessary. Fill sterilized canning jars, leaving one inch headspace. Process in a boiling water bath for ten minutes. Let cool. I've noticed recipes that use apple cider vinegar. Although I love it, all the probiotics would be destroyed in the cooking, so it seems like a waste of such an expensive ingredient. After canning, I store this in fridge because it does not contain sugar and I'm not one to take chances. 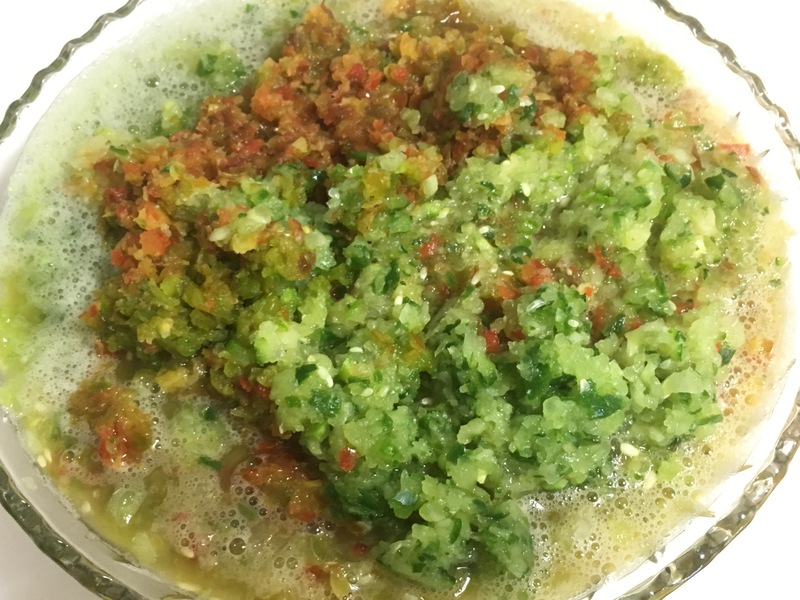 This same basic recipe works for hot pepper sweet relish. I used a 16-inch zucchini, skipping the cucumbers and tomato. For peppers I used 5 Sweet Italian, 8 Hot Hungarian and 1 jalapeño. I increased the turmeric to 2 teaspoons. Other than that, proceed as written.